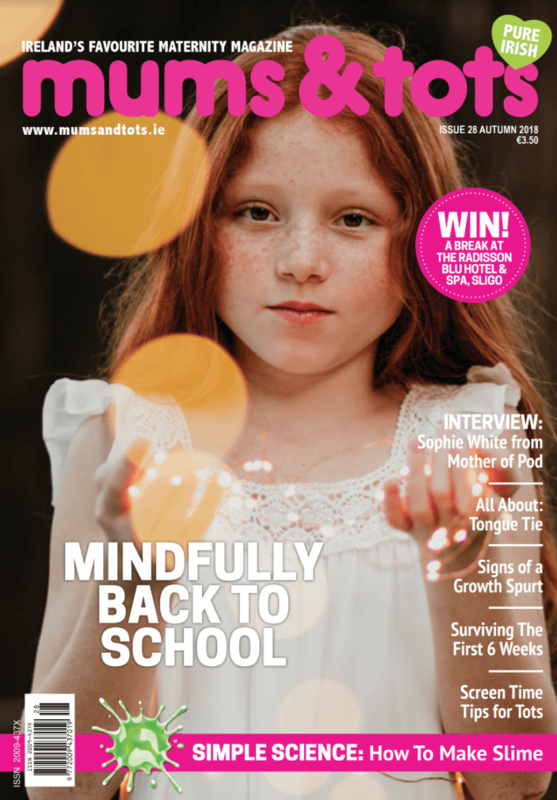 Wet-Stop 3+ Featured in mums & tots Magazine! 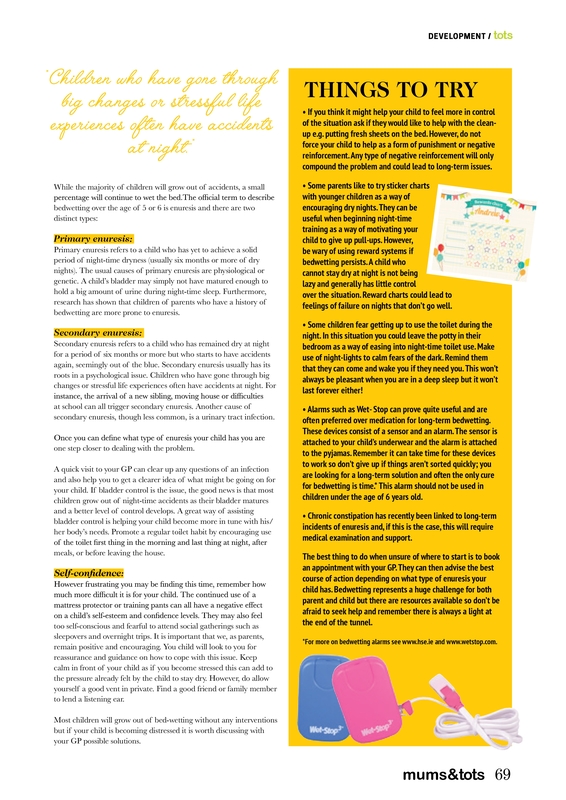 Wet-Stop 3+ Bedwetting Alarm was featured in the article “All About Bed Wetting” in mums & tots magazine. We are honored to have been selected as the best bedwetting alarm! Wet-Stop 3+ is clinically proven to stop bedwetting without medication. Read more about bedwetting in the article. With the Wet-Stop 3+ alarm system, your child will achieve dry nights and better sleep. The Wet-Stop 3+ system includes a wetness sensor to clip to underwear and an alarm unit to clip to sleepwear. When moisture reaches the sensor, the alarm unit will awaken the child, building awareness between brain and bladder, and they will learn to get up to use the bathroom or hold their urine until morning. This informative video gives additional information about success with the Wet-Stop 3+: How-To for Success with the Wet-Stop 3+ – a Family Story. Previous: Previous post: Why Wet-Stop 3 Bedwetting Alarm?